Good morning all and welcome to the AM update. 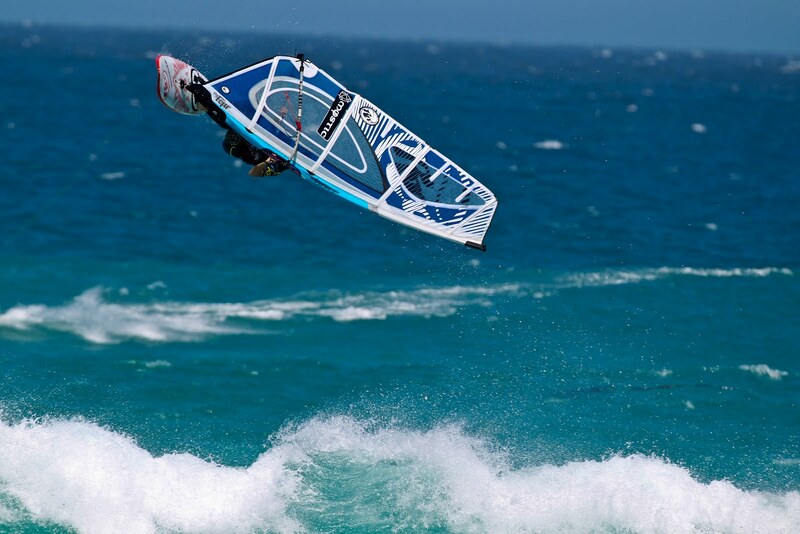 Kicking us off today is news that British wavesailor and RRD rider John Skye has signed to Mystic. He sounds stoked to be on the wetsuit/clothing brand as he reminisces about his winter trip to Cape Town on his blog. Next up is some news from the Hot Sails Maui team out in Hawaii as they put their GPS speed/slalom prototypes to the test developing the 2013 models. Read all about it HERE. Sticking on Maui and it\’s Hot Sails\’ rider and graphics guru Paul Zeper blogging away as he enjoys some sightseeing following a week of super-strong wind in Hawaii. Check out Paul\’s cool photos HERE. A young gun to keep an eye on next. Currently out training in Tarifa is Nicklas Herrera. From the photos on the JP website it would appear that Nicklas is loving his 55 litre Young Gun Quad, awesome action from the big man! We wrap the AM update with this super cool photo of Simmer Style Swedish Team Rider Petter Jakobsson (S-222) seeking out the latest and greatest in board design. It certainly looks FREEZING in Sweden and as they say, if you can\’t beat \’em, join \’em!